While the jigsaw is a very powerful tool, if you do not have a functional blade, then the tool becomes futile. This is the key reason for learning how to change a jigsaw blade. At one point or another, the blade wears out and this makes the cutting process to be quite difficult. This is the main trigger for blade changes in your jigsaw. If your blade is not sharp, then the quality of the cuts is compromised as well, and as such, you should change blades often. Some people may recommend sharpening the jigsaw blades, but in my opinion, this is not worth your time. The blades are quite cheap and it will be convenient to buy a new one instead of going through the trouble of sharpening it. 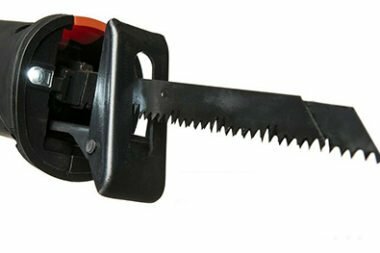 Generally, due to the design of the jigsaw blades, you will be forced to change them frequently, especially, if you are professional. You will want to achieve high quality cuts, and this will be impossible, with a faulty blade. 2 Why Do You need to Change a Jigsaw Blade? When shopping for a jigsaw, one of the things that I recommend as the features to look for the blade change mechanism. The older models, come with a screw that will hold the blade in place and this is tightened or loosened using Allen key or a screwdriver. 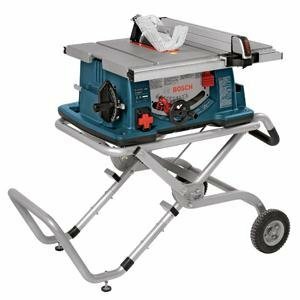 However, there is modern jigsaw that has come into the market and this will have a tool-free blade system. This is quite convenient as you will not need any tools to change the blades. The mechanism will eject the blade from the clamp, by disengaging the level. There are other models that have a spring-loaded lever as well, to eject the blade. These modern systems are not only effective but also a safety measure. When you are cutting your applications, the blade tends to become hot and can be dangerous to touch. The spring-loaded models will eject the blade and you will not have to touch it, as it is the case with the manual systems. Why Do You need to Change a Jigsaw Blade? If you really have to push the jigsaw hard through the stock to make a cut. The quality of the cuts is compromised and they end up being rough and rugged. When you look at the teeth of the blade and they do not appear to be razor-sharp, but are rounded. Anytime you try to make cuts with the jigsaw, the blade wanders off the cut line and there is difficulty guiding the saw. If you notice breakage signs on the blade, you will need to replace it, so that it does not break when you are making the cuts. The overall quality of the blade seems to be compromised, which makes it impossible to make precise and clean cuts. These are some of the signs that you should be keen on. When you notice them, it calls for the immediate change of the blade, otherwise, you may suffer serious injuries and get poor results. 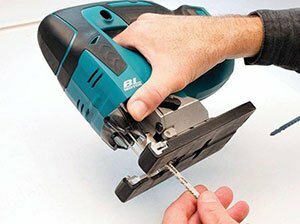 The process of changing blades on jigsaws will primary depend on the type of jigsaw that you have. 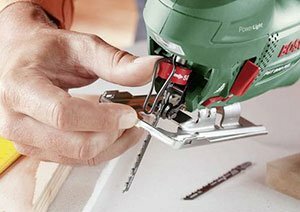 Ideally, there are two main types of jigsaws, as far as the blade mechanism goes, and it is imperative to establish the specific one that you have, before learning how to change a jigsaw blade. As mentioned earlier, there are those that have an automatic level that will release the blade, and for such, the process is much easier. In this case, all you need is a new blade and you will be good to go. The other option is when you have a model that does not have a tool-less system. In this case, you will need, either a screwdriver or an Allen key. This will be used to loosen the blade that needs to be changed. It is important to ensure that you have the right size of tools when working with such jigsaws. In order to be able to understand what you will need to change the blade, we will look at it from the point of the type of blade that you are dealing with. There are two main types of jigsaw blades, namely T-shank and U-shank blades. For most jigsaws, they will come with a T-shank blade, which can be ejected easily, without the use of any tools. In such a case, you will need to have a new blade to replace the old one. This type of blades allows for quick and easy changes to the blade. When you have a model that has a U-shank blade, this means that you have to loosen and fasten it manually. As such, you will need to use the Allen key set or screwdrivers to change the blade. It would be ignorant of me to show you how to change a jigsaw blade, without enhancing your safety. You should never compromise on your safety when changing the blade. Ensure that you have protective gear, during the process. 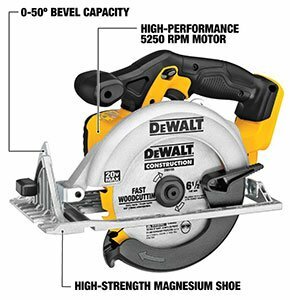 In addition, ensure that the saw has come to a complete stop and is unplugged from the power source. 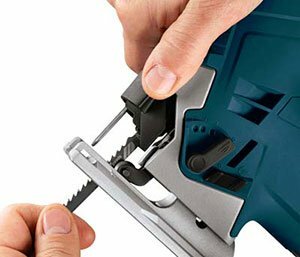 These are basic measures that you should use to change jigsaw blades, safely. Step 1: Before you can start the process, you need to have the new blade to replace the old one. Step 2: You should loosen the release lever on the saw. If you do not know where the lever is, you should check the owner’s manual. Step 3: Eject the blade from the blade clamp. Depending on the model that you have, some will eject automatically, while others need you to remove it. Step 4: Finally, insert the new blade and ensure that the teeth face away from the jigsaw. 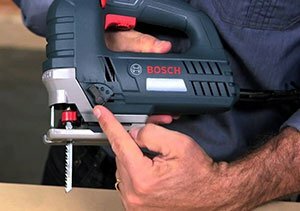 You should ensure that the lever is tightened and put back to position, with the new blade. Step 1: Using the Allen key or screwdriver, start by loosening the screw, which holds the shank in place. Step 2: The second step is to remove the blade once the screw is removed. Take it out of the blade clamp and prepare the new blade to install. Step 3: Get the new blade and insert it into the clamp in the same way that the old blade was positioned. Step 4: When you have put the blade correctly, the next bit is to tighten the screw that held the blade shank. This will secure the blade in place and you will be ready to resume working. 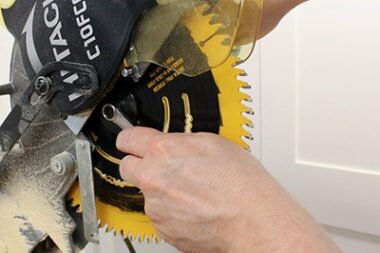 These are the two methods that will commonly be used in changing the blade on your jigsaw. However, you need to be very careful in this saw so as to prevent any accidents. Safety is paramount, and that is why you will need protective clothing. There is no complexity in changing blades on your jigsaw. 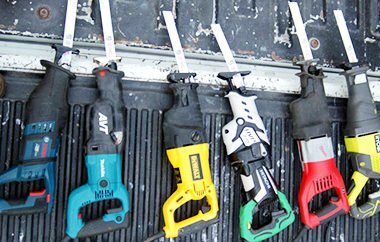 This is an essential process to learn if you own this power tools. You will achieve so much more and enhance your productivity when you know how to change a jigsaw blade as there will be minimal downtimes. While the first time it may appear to be difficult, once you do it severally, you will become an expert at it. This is a critical guide and you should feel free to share it with all those who own jigsaws.